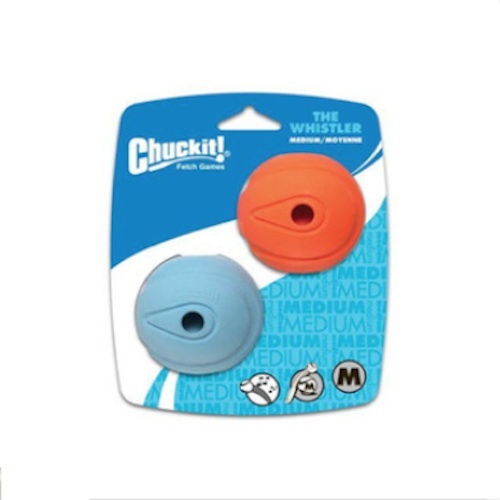 The Chuckit Whistler ball whistles during flight, the holes in this high bouncing rubber ball are what produces a whistle noise as air passes through keeping your dog interested. Made of natural rubber, it's easy to clean. The Chuckit Whistler ball is perfect for those dogs that don't have great eyesight as it whistles in flight! The holes in this high bouncing rubber ball are what produces a whistle noise as air passes through keeping your dog interested. Made of natural rubber, it's easy to clean.